In my late 30s I began to be troubled by various aches and ailments. The most serious of these, heart palpitations, sent me running to my doctor. He checked me over and reassured me that the palpitations were not serious. They and the occasional pains in my shoulder, neck, and knee were common with people coming into middle years. I was aging, he suggested, and I had to accept that fact. This diagnosis and advice was repeated a year later by another doctor when I moved to another part of the country. I grimly resigned myself to aging. Shortly after visiting the second doctor, I discovered an early morning television program on Yoga by Richard Hittleman. Although I had been reading Buddhist and Hindu literature for a few years, this was my first contact with Hatha Yoga. Hittleman demonstrated various simple postures (asanas) and described the procedures for entering, holding, and emerging from each asana. These procedures are generally the same for each pose, and may be illustrated with a simple movement, raising the arms above the head. Begin with your arms relaxed at your sides and exhale as completely as possible. When you are at the bottom of your breath, begin to inhale slowly; simultaneously raise your arms until your hands are pointing up to the ceiling. The movement is slow, and is coordinated with the breath inhalation so that you attain the desired pose at about the time that your lungs are full of air. Hold your breath and the posture for a few seconds, then exhale slowly, simultaneously lowering your arms, reaching the starting position at about the same time that the breath is completely exhaled. Repeat the cycle three or four times. While performing this coordination of breath and movement, two other tasks are required. First, any muscles not in use are to be relaxed. For this particular exercise, for example, you are not using your face muscles or your toes. Attend, therefore, to your forehead; feel it relax. Wiggle y our toes a bit; make sure they 're loose. Second, you must be mindful of y our mental activity. Attention is to be focused on the breath-movement coordination and on relaxing. The immersion in the body should be total. Should your mind start to wander, or you find yourself thinking about a political issue, for example, or a problem at work, you are to silently command "Stop" and to refocus on the bodily activity. After watching for a couple of mornings, I decided to try the simple movement that I just described. It felt wonderful, astonishingly wonderful. The slow tempo, the relaxedness, the gentle massage of my pajamas slowly sliding along my body, all combined to produce instant satisfaction. I repeated this movement a few times, savoring the pleasure. After that, I started watching the program more closely, selecting other simple asanas to perform, gradually expanding my repertoire. Soon I was spending half-an-hour each morning, repeating 3 or 4 times some half-dozen postures. There are enough (actually dozens of) asanas that on different days I could perform different sequences. Some involved neck muscles (turning the head), some the torso (turning the body, bending), and some the finer muscles (flexing fingers). There are standing postures, sitting postures, and some lying on the floor postures. I've heard the asana system described as slow calisthenics, but it goes beyond that. The system seeks out every muscle and exercises it. There are asanas that exercise the face muscles, the toes, even the tongue! An introductory set of asanas may be found in Hittleman (1969) and in Christensen (1987). A number of effects and insights resulted from this daily half-hour of practice. 1. The most dramatic change concerned my health. After just 1 month, all my ailments—the aches and sudden pains, the heart palpitations—disappeared. 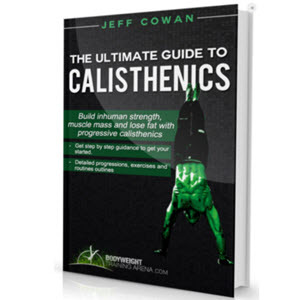 It felt as if the movements had oiled my joints, so that I now moved smoothly and easily. The doctors had been wrong: I hadn't been aging; I had been rusting. It was as though every muscle from my heart to my limbs had been operating under too much internal friction. These systematic turns, bends, and stretches had lubricated the system. The phy sical benefits after that first month went beyond the disappearance of the ailments. I moved more easily and with more of a spring to my step. I felt younger. After a month, I felt like I was 18.1 remember thinking "I suppose after 2 months of practice I'll feel like I'm 12. And what after that?" I had discovered the fountain of youth. About 6 months after I started practicing Yoga, my father, who was then 65, complained to me of a neck ailment. Whenever he sat in one position—reading a book, watching TV, driving a car—his neck "froze up" on him. It was excruciatingly painful when, after sitting still for a few minutes, he turned his head. His doctor's diagnosis was no more helpful to him than mine had been to me: He was old; he had to resign himself. When my dad told me of his trouble, I suspected that Yoga would help him. The notion of "Yoga," however, had for him the same forbidding exoticism as voodoo or black magic. I merely advised him "When you get out of bed in the moming, while your neck is still normal, spend 5 minutes exercising your neck in slow motion. Turn your head from side to side, lift your shoulders and role your head in the cradle that they form. Add any other neck-and-head movements that feel good." Two weeks later he phoned, exulting that the ailment had vanished. He intoned "You're in possession of a great secret." 'My and my father's experiences occurred in the late 1960s. Today the physical benefits of Yoga are commonly accepted by the medical profession. Yoga postures (Ornish, 1990) or Yoga-like postures (Egoscue and Gittines, 1998) are used for heart ailments and for chronic pain, respectively. Physical therapy, a profession lit tle known 30 years ago, also utilizes similar movements. 2. The slow breaths were also important An automobile offers a useful analogy. A badly tuned car will still run and take you places. If you tune the engine, however, it will run more smoothly, more economically, and will last longer. The slow breathing has a parallel effect. Our normal inner rhythms may not be quite right, although we function adequately. Slow breathing seems to correct those rhythms; it "tunes" the body (see Berger & Owen, 1992). The next time you are agitated, and you feel that your inner rhythms are out of kilter, try slow breathing. Exhale all your breath and then breathe in slowly. Feel how the air, as it goes through your nostrils, gently massages the inner forehead; feel the air slowly fill your body. 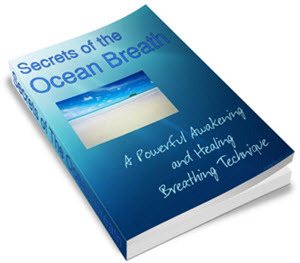 When you reach the top of the breath, hold it for a few seconds then breathe out slowly with the same attention. See whether, after three or four such breaths, the agitation hasn't changed. My own application of this technique is described in Part IV, where I discuss handling anger. 3. I found that I was sleeping better and, consequently, was needing less sleep. I had been practicing Yoga between 30 and 60 minutes each morning. The problem of where I was going to find the time in what was already a busy schedule took care of itself. My sleep habits changed; I needed less sleep. Other practitioners have told me of a similar experience, that sleep was sounder and more efficient Being "too busy" is probably not an adequate reason for avoiding this exercise. 4. Serious Yoga practitioners can assume striking, extreme positions. Two examples are shown in Fig. 17.1. The beginner is cautioned, however, to treat these models as ideals and not as challenges to be immediately mastered. You can hurt yourself if you try the advanced asanas before you're ready. In Yoga, you must never strain yourself. You move in the direction of the ideal, but stop at that final comfortable point. If you're feeling pain or even strain, you have moved too far. As an example, consider a simple turning movement. Standing with feet planted firmly on the ground and with hands on hips, turn the torso slowly to the left with the head turning to look over the left shoulder. Advanced Yoga practitioners can turn and hold a pose well in excess of 90 degrees. Suppose you can turn comfortably only through about 60 degrees. Stop there. Over time your body will attain greater flexibility. For now, however, work within your current limitations. FIG. 17.1 Two examples of advanced Yoga postures (Photos by DeSciose, from Power Yoga by B.B.Birch, 1995). Reprinted with permission. It is the antithesis of Yoga to criticize yourself or berate yourself for "failing" (not fully reaching the demonstrated pose). A Yoga teacher used to tell each of the students in his group "You are perfect." Each one was to be working within the confines of his or her own body, and not to be comparing and pejoratively judging. In this connection, a subtle but important distinction is made. You assess but you do not judge. You have an image of the ideal posture (in the previous example, a 90-degree turn) and a sense of where you are (app. 60 degrees). You are to note and assess this difference and over weeks and months strive toward the ideal, but you are not to "judge" yourself in any harsh, critical manner. The latter are Wrong Thoughts that only amplify Dukkha. 5. Yoga is currently popular in America as a discipline leading to health and well-being. As important as this is, it is a secondary goal. Unlike calisthenics, which you may perform while watching television, in Yoga you focus on what you are doing. Furthermore, you are simultaneously slowing the body's rhythms, what I referred to earlier as tuning the body. This combination of being immersed in your action, while the inner tempo is calm I call the yogic state. In doing the postures, you are practicing a skill: getting into and stay ing in this state. The performance of asanas, then, not only betters your body but gradually improves your ability to be in the Yogic state. In this state, remember, you are calmly immersed, undistracted by hungers, thoughts, or resentments. 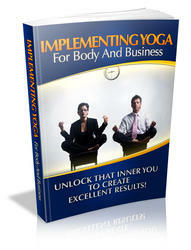 This inner transformation, one of the central goals of Buddhism and Yoga, is taking place while we improve our bodies. I sometimes think that the remarkable changes that can occur in the body (see again Fig. 17.1) are meant to symbolize the even more remarkable transformation on the inside. This increasing facility to be in the Yogic state has significance beyond the half-hour of asana practice—it transfers to daily living. Again, the outer symbolizes the inner. Just as we will move through the day more smoothly and easily, we will also focus on our daily activities more calmly and completely.